After a weekend of leaks and to the great surprise of no one, Respawn announced and released Apex Legends today. Apex Legends is a free-to-play battle royale game set in the Titanfall universe, featuring squad-based gameplay and unique mechanics to the genre that help set it apart from the competition. It also helps that it’s from Respawn, a studio known for its excellent shooters. 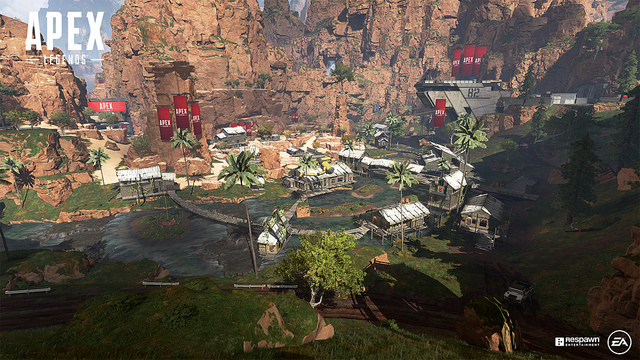 Apex Legends features a unique visual style lands somewhere between Borderlands and Fortnite trying something a bit more photorealistic. It’s almost hi-res claymation in appearance, and leans into hero mechanics with unique abilities depending on which character you choose. You can try out the game free for yourself right now, and there’s even a bonus pack of goodies for PS Plus subscribers. The game’s description reads “Explore a growing roster of diverse characters and experience intense tactical squad play in a bold, new evolution of battle royale,” so we can assume that the game will feature continued support and updates with more characters in the future. In an interview with Eurogamer, Respawn producer Drew McCoy confirmed that Titanfall 3 is not in development. “The world thinks we’re making Titanfall 3 and we’re not – this is what we’re making,” he said. It’s not clear if Titanfall 3 was ever actually in development or if Apex Legends was the game the studio had planned to develop all along. Some reports state that development on Titanfall 3 shifted into what became Apex Legends. McCoy went on to talk about why they went with a surprise and sudden launch instead of hyping up the game beforehand. Our own PMC is actively playing Apex Legends right now to bring you our review and we should have his full thoughts before the week is out.